Claudia Fragapane had so much energy as a child that, at times, it became difficult for her parents to keep up. However, after being introduced to Gymnastics, Claudia has never looked back and is now fully focused on the both the 2016 Glasgow World Cup and Olympic Games in Rio. In 2014, Claudia was named BBC Young Sports Personality of the Year after making history by claiming team, all-around, vault and floor gold medals at the Glasgow 2014 Commonwealth Games. However, two years on, she admits the media spotlight takes some getting used to. 2015 proved to be an historic year for British Gymnastics with five medals at the World Championships in Glasgow and Claudia believes that much of the success is down to being part of such a tight-knit group. Following her breakthrough success in 2014, Claudia suffered an unfortunate foot injury that threatened to keep her out of the 2015 World Championships in Glasgow. However, through hard work and determination, Claudia returned to the squad and made history as part of the first female Great Britain team to win a medal at a World Championships. In March, Claudia returns to scene of her momentous achievements once more for the 2016 Glasgow World Cup, which is part of UK Sport’s National Lottery funded #EveryRoadtoRio campaign to help athletes qualify and prepare for Rio 2016. Claudia admits that the City now holds a special place in her heart, but the trip will be strictly business as she continues her preparations for Rio. Claudia may be small in stature, at just four foot six, but her reputation continues to grow year on year. Fragapane has already tasted success at major championships with World, European and Commonwealth medals to her name. However, with Rio already coming in to focus, she is quietly confident of adding Olympic success to that remarkable haul. “It would be absolutely amazing to come away with a medal at the games. We will go into the competition in the same way that we always do by performing to the best of our ability and showing support for one another – hopefully that will be enough! I feel that, if we hit our routines and continue in the way that we have been, we have a good chance. Fingers crossed it will all work out!" 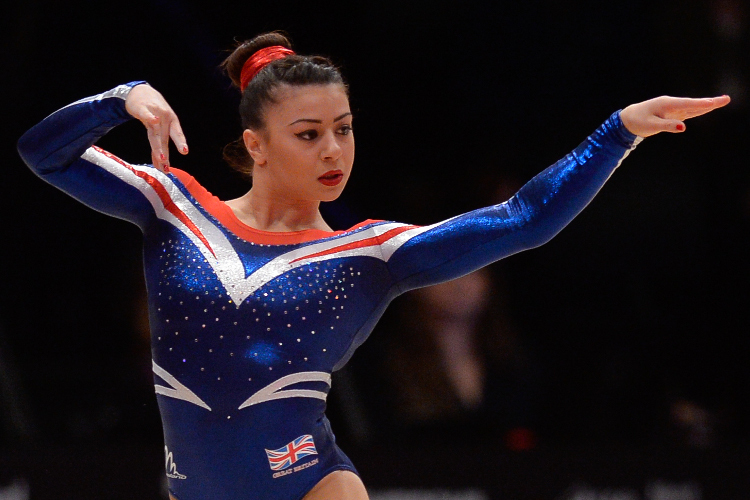 Claudia Fragapane is one of 1,300 athletes on UK Sport’s National Lottery supported World Class Programme. Buy tickets for the Glasgow World Cup here.